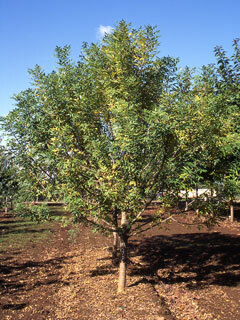 This is a genetic dwarf form of Green Ash, miniature in every way when compared to the species. 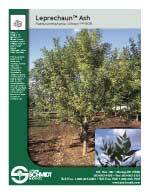 Originated at Johnson Nursery in Wisconsin, it is greatly appreciated by utility companies seeking tough trees to fit under overhead wires. Grafted on a 6' stem, and also on a 4' stem for patio or container use.